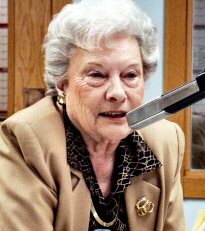 Mabel Louise, live on the air Thursday at 11:15 am. Winger Jack Skille has played 10 seasons in the National Hockey League. Now the former Wisconsin Badger is skating in the Kontinental Hockey League, The Russian pro hockey league. Jack stopped by the WWIB Communications Center recently to talk about playing professionally with the Minsk Dynamo team and the spiritual journey God has had him on the last year. Part 1 of a series.